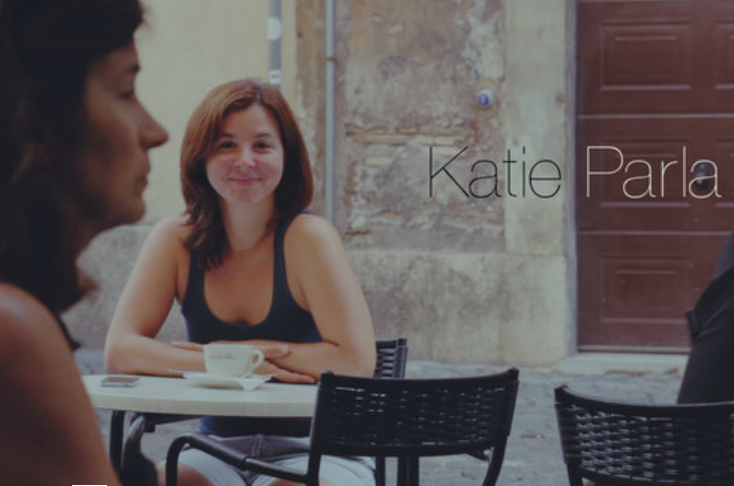 Day two of Rome begins with an Interview of Katie Parla, the premiere specialist on Roman food and drink. See part one here and part two here. After an insightful fun interview, we set out to test Ms. Parla’s standards in restaurant picks and pans. We go to Dar Poeta one of the pizza restaurants that is recommended by our AirBnB host, Serious Eats, Lonely Planet, Fodors as well as Yelp. Here’s what came to the table. 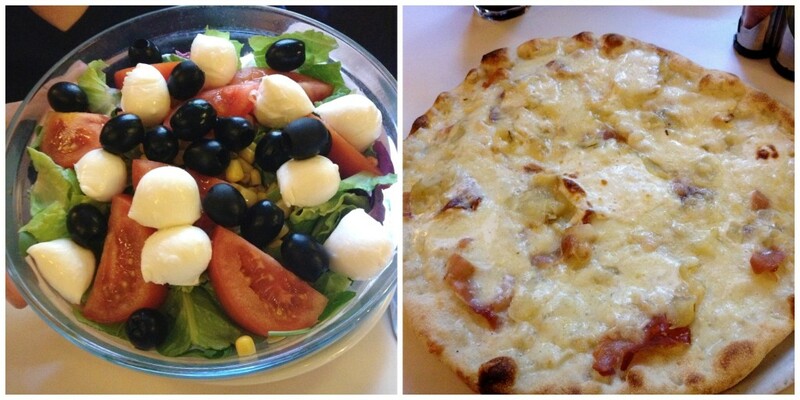 Neither the salad nor the pizza was anything to write home about. We then checked out what Katie Parla said. We agreed with Ms. Parla, Dar Poeta was over hyped and not that great. Katie becomes our food goddess. That evening we embark on a successful Rick Steves Night Walk Across Rome. Back over the Trestevre and on to Le Mani in Pasta a restaurant that is no longer a Parla recommendation but was at the time. Tuna with a pistachio crust and hand made pasta with prawns and asparagus were stupendous. Great way to end a day. Check out the video. You video has made me long for Italy even more! I haven’t been back in almost 10 years…much, much too long to be away. I will do everything in my power to get back there this year!! Thanks for the great virtual trip to Roma! So glad to be an inspiration. There’s so much more to come as well. Thanks for stopping by. That Tuna with a pistachio crust and hand made pasta with prawns and asparagus sounds delish. I think you should recreate it on one of your posts.